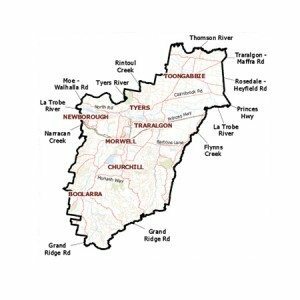 Taking in Churchill, Morwell, Traralgon and Newborough, the Morwell Electorate covers some 1640 square kilometres in Victoria’s Latrobe City region. Brown coal mining and electricity generation are major industries in the area, along with paper manufacturing. Other industries include agriculture and timber production. The Morwell Electorate is home to a number of attractions, with visitors to the area drawn to beautiful parks and gardens, historical buildings, fabulous wineries and many wonderful restaurants and cafes. The Morwell electorate is also home to Federation University’s Churchill Campus. Students looking to attend the campus can choose from a host of courses, ranging from applied sciences and economics to education and nursing. Housing is another growth industry in the Morwell electorate, with more and more people choosing to call this part of Gippsland home. Contact the Victorian Electoral Commission on 13 18 32 or visit www.vec.vic.gov.au to enrol to vote or check your existing enrolment.